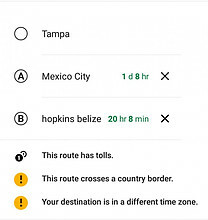 If you a planning a road trip from Florida to Belize this blog is for you. We arrived in Belize 5 days ago, after leaving Florida on the 26th September 2018. 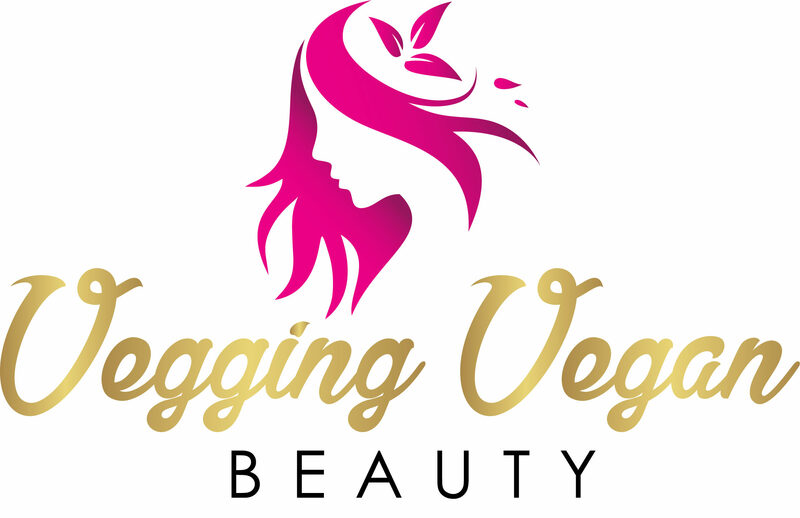 Since my website is about living with a Teenage Vegan I am going to give you some insight into what it was, and still like, traveling with a Vegan Teen. Hope you enjoy reading. 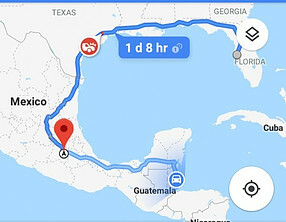 Oh just before I begin you will notice the two pictures at the top from google map, it states that it takes 60 hours to get from Tampa Bay, Florida to Belize. This is obviously with no periods of sleep or breaks (or shopping in Mexico city). After 9 months living in Florida and really enjoying it, it was time to move on. I will not bore you with the details of why, let’s just say Donald Trump makes it very hard. After 9 months you make a life for yourself, you have friends, a car, and of course a boat. (You have to have a boat living in Florida, the sea is fantastic). And don’t forget all the things we had bought when we were there. Now the easiest thing would be to catch a flight, sell everything pack a suitcase and go. But we like to make things adventurous, and we heard the sea in Belize is fantastic as well. (It has the second largest Barrier reef in the world). The decision was made. We were going to drive it, yes boat and all. We didn’t have to sell anything, problem solved, mmm!!! Our car is not the greatest car in the world, it is an old 2002 Buick Rendezvous and the miles were clocking up on the old dear. But we had faith. She would make it! 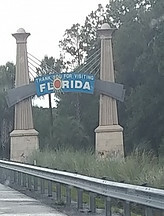 We left Florida about 9 in the morning, knowing that we probably would not make it out of Florida State. We didn’t we drove 8 hours the first day, and we were still in Florida State. But the next day bright and early we left Florida State. We were buzzing, so excited to be on the road and going to the next State. Well me and Mark were anyway. 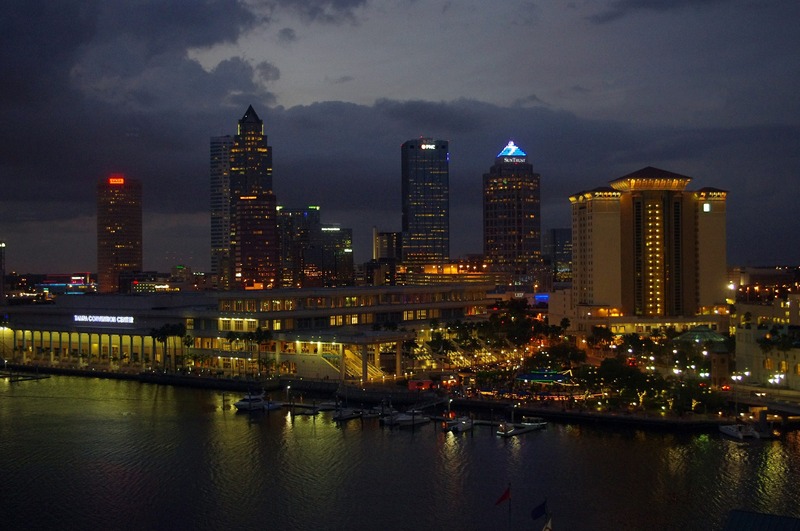 Through the day Chanise slept, she decided to pull an all-nighter before we left Tampa Bay! 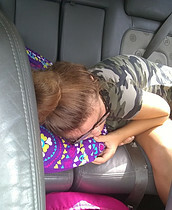 So she slept most of the drive through Florida state. She had a good Vegan breakfast in the morning, consisting of Toast, Muesli, and fruit. But you bet she crashed and burned from staying up all night. I was quite concerned about this trip as I couldn’t cook we were just pulling up and staying at random Motels, and anybody that lives in the USA knows that Vegan food on the run is practically none existence. The USA has got fast food restaurant in abundance but not Vegan. So frustrating. 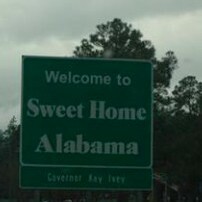 Our next State was Sweet Home Alabama and you bet we blasted the song out once we hit this state (Love this Song). 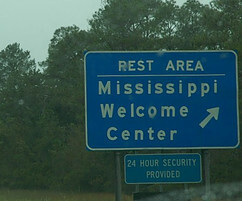 Because we are going through the shoreline driving you only hit the bottom of Alabama, so we were in out and within a couple of hours and hit the next state Louisiana. We made sure to stock in the supermarket with whatever Vegan food we could get which mostly consisted of Protein bars, fruit (Lots of fruit). Bread, peanut butter (The healthy one, not the ones full of Sugar and additives), nuts, Almond milk. I always made sure that these things were on hand in case Chanise got hungry. Yes, we always stopped for Dinner at a restaurant when I say this, it mostly consisted of Subway (Subway sourdough bread is Vegan). We spent a night in Mississippi again at some random Motel. It was nice and quiet and just wanted to get some rest from driving. We quickly began to realize when our GPS told us it will take 6 hours we were usually in for an 8-hour day. 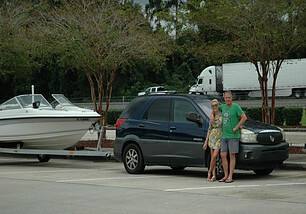 The car was going good but she was slowly towing the boat especially uphill. But this was nothing until we hit Mexico, but more about that later. And also we stopped for rest or the toilet and maybe a coffee and a bite to eat. Chanise included. 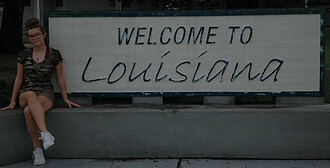 Our next state was Louisiana we did want to spend the night in New Orleans and explore a little. But wow it was crazy. Traffic everywhere it took us about an hour and a half just to get out the city and I was glad we had already done 6 hours driving that day and I we just wanted to get out the city at the other end. It probably did not help that help that we hit the 5 o clock traffic. It was a quick decision nope this is not for us. I did not realize that New Orleans was so big and busy. But saying this I did not do any research on it before I left. So you guessed it we drove about an hour out of the city and stopped in a Motel and rested. 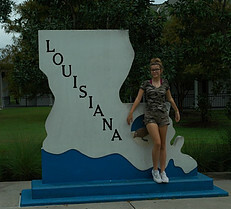 One thing that I did learn about Louisiana is there are Casinos everywhere, and when I say everywhere I mean Petrol stations, truck stops you name it in every little village, a township that we passed there they were. Not flash Casino’s but just there. Weird, for me anyway. 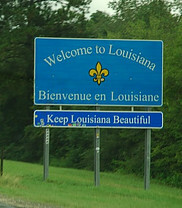 And another thing with Louisiana is that it was swampy, there was a lot of brides that goes on for miles and miles. Our next state was Texas, just wish that we had more time to explore. But we were on a mission. Mission Belize. The Texas State was long it took us 3 night to get through the state with the third day being a short drive as we wanted to be near the border of Mexico early the next day. The town next to the border is quite a good size. No problem finding accommodation. And it almost feels like you are in Mexico as there were more Mexicans there than Americans. We had to do some more study as what to expect when crossing and make sure all our paperwork was good. We did need insurance for the trailer, boat, and car and knew that we could get it at the border but we thought maybe we would inquire at a few places near the border. But guess what nobody spoke English, yes we were in Texas but nobody spoke English. What the!!! And the food well it was most Mexican ohh don’t get me wrong you still got the McDonald’s and fast food restaurant but a lot of the places served Mexican food. Did we find a Vegan place for Chanis? No, we did not. It was a bit frustrating. OK, a lot of Mexican food is Vegan or you can easily just say no meat. But nobody understood us argh. Anyway, she did end up getting a feed but it was not that eventful or delicious. OK, people, I am going to end this blog here. In my next blog, I will write about Mexico to Belize. There is just so much information that I would like to share with you all. I really hope you enjoyed reading and please any question or comments, you know what to do.